To make the pasta, rinse and boil the shirataki noodles for 5 min. Drain water from the pasta. Set aside. 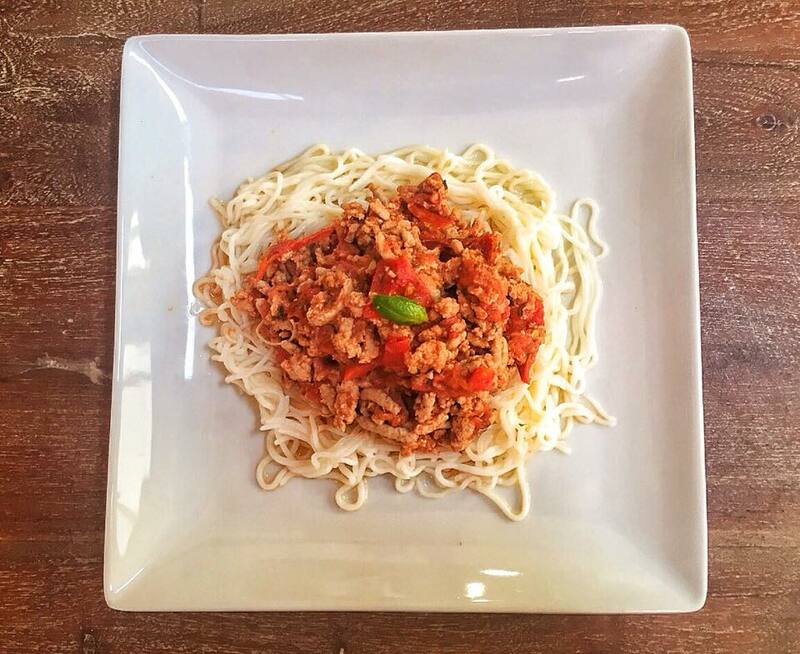 To a make the bolognese sauce, mix the spices with the ground turkey and sauté in a sauté pan with low heat until the meat is almost full cooked. Then add in the chopped tomatoes and the salt. Let the meat and tomatoes simmer in the pan for about 15 min. Stir the sauce around every few minute. After 15 min, add in the laughing cow light swiss cream cheese. Continue to stir until the cheese fully dissolves giving the sauce a lighter pink color. Finally, mix the sauce with the pasta together for a tasty meal.